As you may have seen in the news we were visited this week by BBC South East Today, not at the casualty centre for a change, but at home, in my currently rather unkempt garden, after a Summer of ducklings, baby rabbits, hedgehogs and pigeons living in it. A last minute rush to tidy up the front (as we were sure they would be filming there as that is where the shed is) not the least to ensure they could actually see through the undergrowth! Of course what did they do ..... film mainly in the back garden, much to the annoyance of neighbours I am sure. The filming came about as we are now needing to urgently kit out our new hedgehog shed, kindly donated by Skinners Sheds, it will be used for hibernation in the Winter, and during the Spring and Summer as a maternity ward for our pregnant females and their babies. 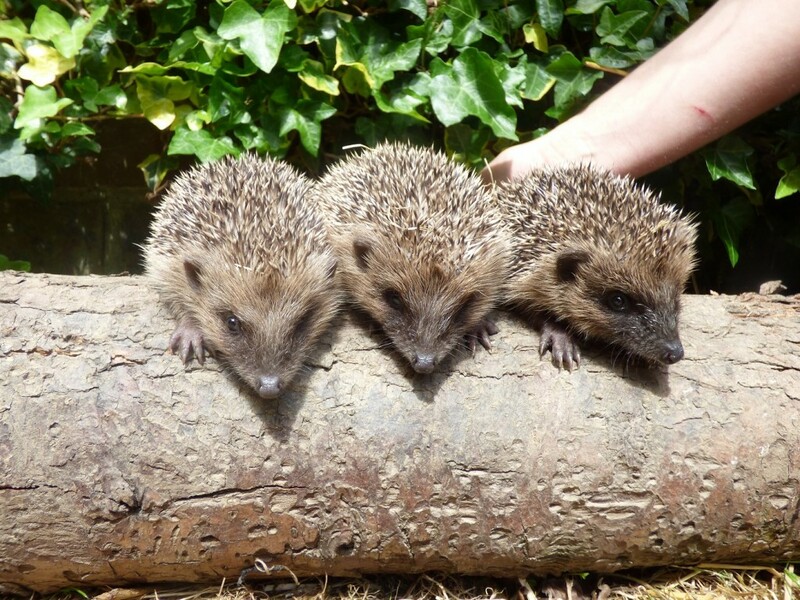 Not as some people seem to have thought having seen the article - for the unbridled breeding of hedgehogs by us in captivity - we have had 4 people already call us asking for hedgehogs! At this time of year we get a lot of female hedgehogs found out in the daytime, this is the one time of year that hedgehogs ODDL (out during daylight) are not always in trouble, although we are happy to check them over to be sure. They are often heavily pregnant females, feeling uncomfortable, especially in the hot weather, and they may come out for a while to walk around, look for water or nesting material. 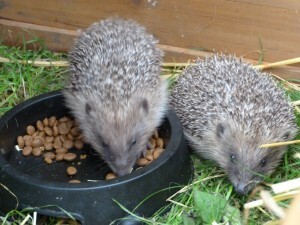 You should still not be seeing them sprawled out vulnerable in the sunshine though - hedgehogs do not sunbathe! We try to ultrasound all the suspicious looking females that come in, if they are pregnant and appear healthy, we will do a faecal sample and look to release them asap back to where they came from, to give birth in the wild. Which is far preferable than having them in captivity and the stresses that causes. If a female can not go back straightaway, and needs treating, we will move her to the maternity shed, and continue with treatment there, unless it is a very serious problem that needs more intervention by veterinary staff. Occasionally a female may give birth unexpectedly, if this is the case we have to be totally hands off for around 4 days, so that mum does not reject or kill the babies if she feels threatened. After 4 days we can carefully clean her cage out and check all is ok, the same goes for any born in the maternity shed. If born at the centre we will move them and mum out to the shed when a couple of weeks old. Once the babies are around 200g we try to move them and mum into an outdoor pen, the babies stay with mum until they are around 300g and then mum is usually released back where she came from and the babies stay with us until around 500g. This tries to follow the normal weaning pattern that mum would go through with her young, usually leaving them to their own devices around 300g. The babies are eventually released from a pen at a suitable location, where they stay for 2 weeks shut in, with food provided, and then the pen is opened and they can come and go and are support fed for as long as they need it. All our hedgehogs are also microchipped. I found a kestrel with an injured wing on Warren Hill, Eastbourne Downs, on Thursday 22nd October, at lunchtime, which I took to Stafford Road Veterinary practice, Seaford. They assured me that you collected the bird and he/she(?) was recovering well as the wing only appeared to be badly bruised, not broken. How is the bird gettng on ? I hope it is recovering as I e to think that I prevvented it being injured by a passing dog or becomming supper for a fox! I would love to hear any news of the bird's recovery. To find out how a casualty is, please call the rescue centre on 01825-873003 and they should be able to look it up for you. Many Thanks.